Biohack : Creatine / Fenugreek / Beetroot « Adafruit Industries – Makers, hackers, artists, designers and engineers! I was intrigued, tried it and blech! My sensitivity to things that taste awful was immediately triggered. This also offends the coffee gods. 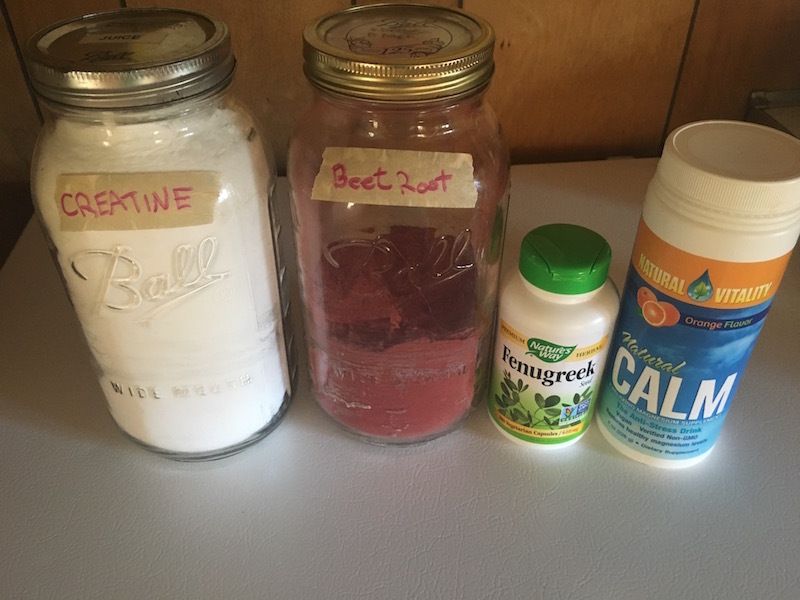 Over the last week I’ve tried different combinations and came up with a tasty version of the pre-workout drink. I agree with the “super razor focus” claim. My current version removes the coffee from the mix. 1 pill Fenugreek – Pill form to avoid the bad taste. This turned out to be the “awful” source. 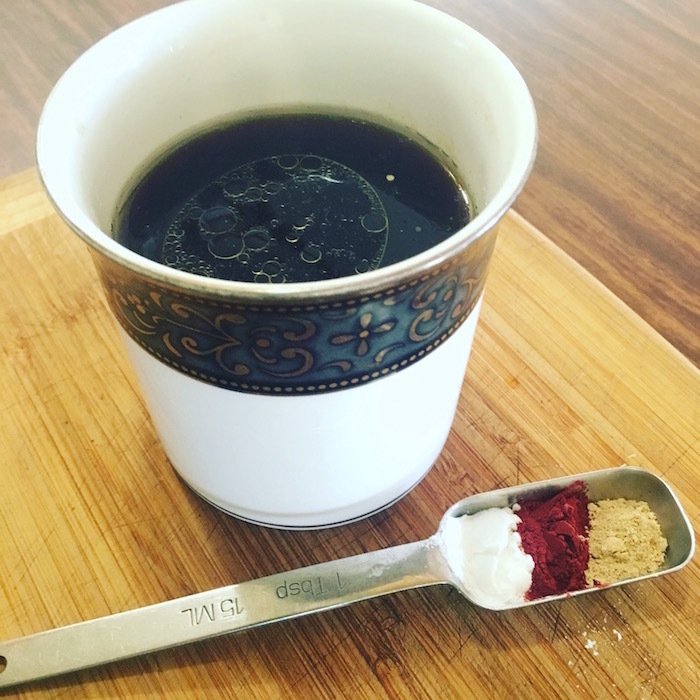 1/2 tsp Beetroot Powder – Tastes alright in small quantity. Beetroot which is high in nitrates improves blood flow and relaxes blood vessels which means more oxygen to muscles. See our Beet Doping post for more. 1/2 tsp creatine – Widely used performance-enhancing supplement. Building block to creating adenosine triphosphate (ATP) – muscle energy. This study suggests that taking creatine in combination with fenugreek will increase creatine update without a need for carbohydrates. An ideal attribute for the low carb crowd. 1 tsp branch chain amino acids – Used to prevent muscle wasting on fasted workouts. 1 tsp CALM orange magnesium – Used to flavor the drink, prevent cramping and increase magnesium. Combine all ingredients in one pint of water and stir. This drink provided me with the kind of focus that was ideal for coding or writing. I’ve also enjoyed running, swimming and cycling on it. YMMV. Is this safe? Creatine is the substance that stands out here. Diabetics, children and people with kidney or liver disease should avoid creatine. Hey – Love the biohacking articles! Keep them coming! *Single and combined effects of beetroot juice and caffeine supplementation on cycling time trial performance – Lane et. al. Creatine supplements should also not be taken with non-steroidal anti-inflammatory drugs (NSAIDs). That includes ibuprophen, acetaminophen & etc. 1) The plural of anecdote is not data. YMMV is an understatement, especially if one is playing with numerous other dietary regimes. 2) Be mindful that most of these studies require replication. The nutritional literature is rife with irreproducible and unreproduced studies. Nice! I love drink experiments like this – both for bike riding/workouts and for general focus. Will give it a try, thanks! I’d love to hear how it works out for you Nick. I can’t stop drinking it myself.